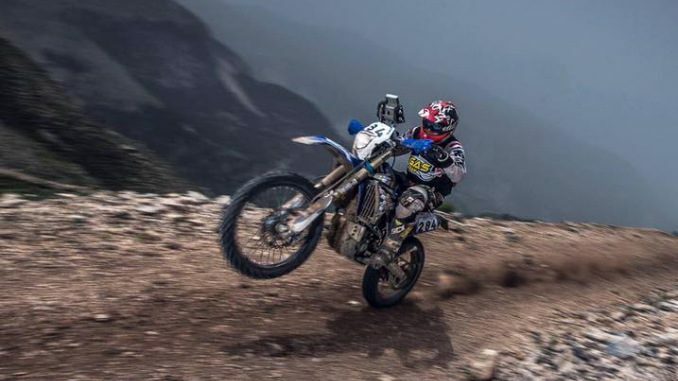 Another strong performance from Australian rider Andrew Houlihan on day 4 of the 2018 Hellas Rally Raid in Greece has proven he has what it takes to compete at an international level. Andrew has finished today’s stage 35th out of the 184 remaining bikes, and is now placed 50th overall. He began today’s racing well down the starting order after losing around 30 minutes helping another rider yesterday. Andrew is hoping for a decision today on his appeal to have the time he spent assisting Italian rider Lorenzo Cirri credited back to him. A good decision would potentially move Andrew back up to 33rd overall. He says Lorenzo is working with him in the discussions with the rally organisers. The late start put around 100 bikes in front of him, and despite light rain falling he says the dust was very bad. It also meant Andrew could ride with teammate Juan Pablo Guillen Rivera for the first time in the event. Andrew’s other teammate, Deepak Kumar, has withdrawn from the rally. “It was another late night as we had many changes for today’s road book, midnight has been the earliest we have been able to get to bed and then up again at 5.30am except today. I had a late start time of 11am due to losing 30 minutes yesterday. The second special stage has been cancelled today as it was deemed to be too dangerous, which was disappointing for me as I need to make up as many positions as possible. 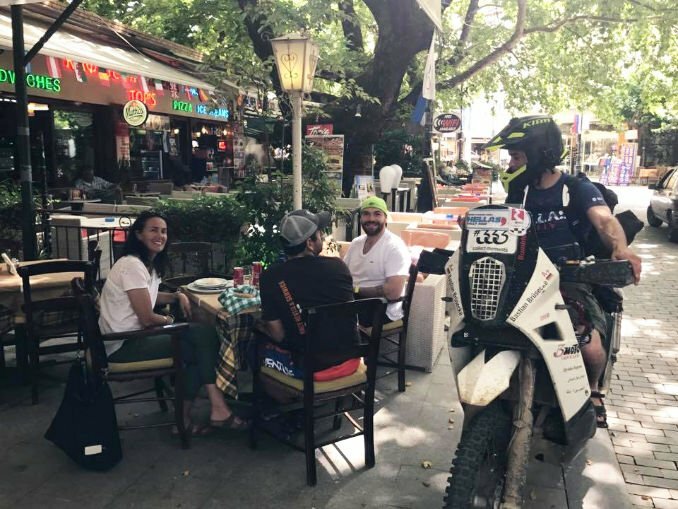 The 1 hour liaison back to Ancient Olympia took riders through beautiful mountain towns with cobblestone streets. Andrew say he also had time for some social time today. Day 5 is expected to take riders over a distance of 600km with medium to slow speeds, and navigation is expected to be quite difficult.